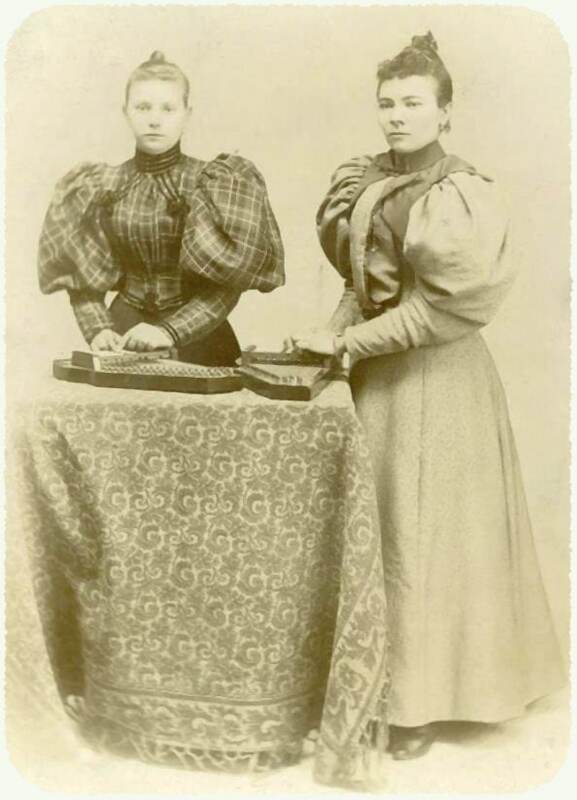 Irma and Florance Ogushwitz, a great duo from the early 1900’s. They were very exciting to hear. The wore dresses with puffy shoulders to hide the fact the they were also weight lifters. I believe they were from Rumania originally and came to America at the age of 10 and 12. Their brother Naftule invented a Menorah made out of wax. It was originally a big seller, but most folks didn’t want to purchase a Menorah for each day of Hanakkah. They played a simkha here and there. Irma and Florance both settled in West Bloomfield, MI. These two are the Bose sisters. They pioneered the idea of shoulder speakers.